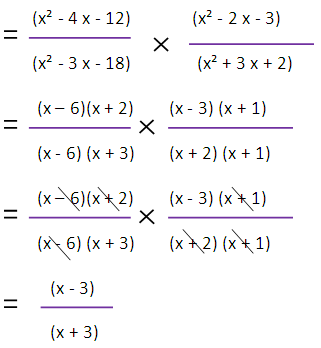 Here rational expression solution3 we are going to see solution of some practice questions from the worksheet of multiplying rational fractions. 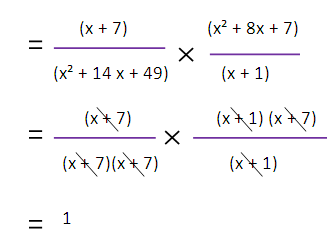 After cancelling common terms we get (x - 3)/(x + 3) as answer. 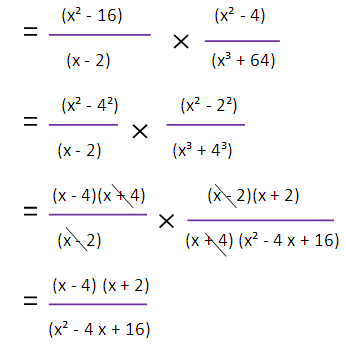 After cancelling common terms we get (x + 2)/(x + 4)² as answer. 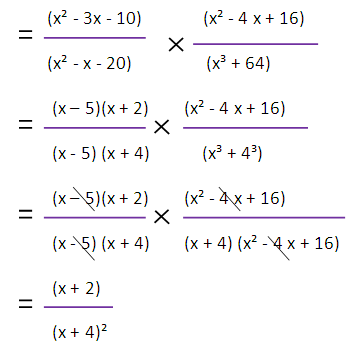 After cancelling common terms we get (x - 4)(x + 2)/(x² - 4x + 16) as answer. After cancelling common terms we get 1 as answer.